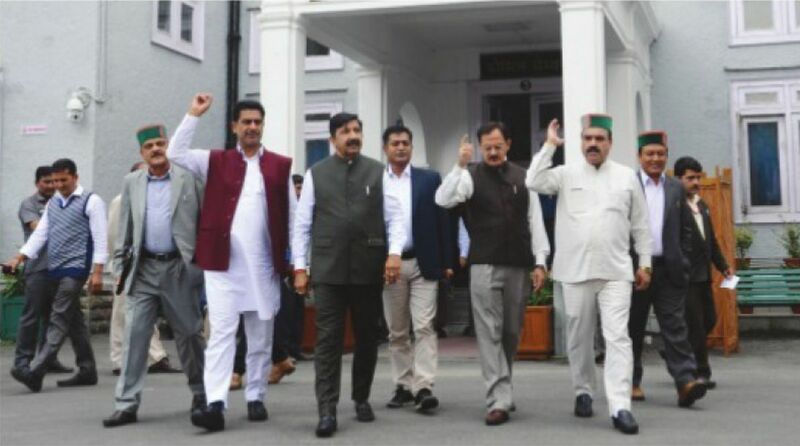 Opposition Congress on Thursday staged a walkout from the State Assembly against the move by MPP and Power Minister Anil Sharma to issue a statement on hydropower policy and his subsequent taunt. As soon as he began to make a statement on power policy with the permission of Speaker Dr Rajiv Bindal and referred to the ‘imaginative losses’ on the basis of which Congress had opposed the policy, leader of opposition, Mukesh Agnihotri got up to oppose it. The Congress leader said it was unjustified that the minister was issuing a statement on the issue, which was discussed in the House day before on Wednesday and on which the minister had already given his reply. Intervening, Chief Minister Jai Ram Thakur said the minister wished to put some facts before the House on power policy. He remarked it was strange that Congress was opposing the minister’s statement, without listening to him. He said the BJP government was worried about the hydro power sector that got stuck over the last decade for some constraints, and had hence made some amendments in state’s interest. The Speaker said he allowed the minister to speak under the rules. He said there was a clear provision in Assembly Rule 317 that any minister with the permission of the chair could issue statement in the House in public interest. However, Agnihotri and some other Congress members did not relent and entered into heated exchanges with ruling benches on the issue for some time. They walked out of the House in protest later, alleging that the BJP government was working against the interests of Himachal. The Speaker and CM condemned the behaviour of the leader of opposition and said his language was not proper. The Speaker said he had permitted the minister to speak as per rules. The CM said the present Speaker was open minded and had been giving equal chance to all the members to speak in the House. 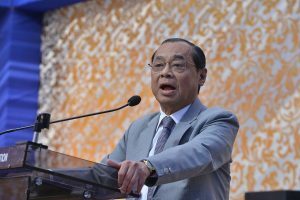 Holding the Congress contentions and walkout on the issue unwarranted, he said the Opposition members just wanted to make some news. In his statement in the absence of Congress members later, the minister said Congress was misleading the people on the issue of amendments in the power policy. He said the government had only deferred the 12 per cent free power for the allotted hydro projects in state interest. “We have not waived it off. We have deferred it for first 12 years which are critical for any hydro project,” he said. He said this would see the hydro power sector, which was stuck for a decade, move forward. Anil Sharma said the Congress party, which is now criticising the move to defer the power royalty, said the previous Congress government had mooted it. The previous government had deferred the power royalty for 2670 Mega Watt (allotted on Chenab basin) out of the total projects of 5190 MW capacity, allotted in its tenure. He said the present government was working in the state interest, but the Congress was distorting the facts to misguide public. He said after the amendments in the hydro power policy, the developers have again started showing interest.